Restaurant Week, the much anticipated semi-annual event, is here in San Diego again. More than 180 restaurants around San Diego will be participating from September 19-24 serving prix fixe three-course meals for $20, $30, or $40, depending on the restaurant. The foodies here at My Food Geek were lucky enough to get invited for a Restaurant Week preview, and given a small selection of locations to choose from. The geek unfortunately had to work the evening of the preview, so I (the eater) invited another food appreciating friend to join me for a preview meal at Amaya at the Grand Del Mar. It happened to be my birthday that day, September 15th, which was especially appreciated! We arrived at the posh resort, which feels quite remote after winding through the quiet local roads and past the guard house, and found ourselves a bit overwhelmed by the huge estate which didn’t appear to have any hint as to the restaurant’s location. It wasn’t clear on entering where there might be self-parking, so we let the valet take our car, and asked for directions to Amaya. With additional help from two friendly staff members on our way, we found our way there. On being seated, we were soon greeted by Wine Director Jesse Rodriguez offering to help us select wine from his enormous wine list. This is clearly someone who not only loves wine, and loves to share his knowledge, but is also has the knack for drawing his audience in with his friendly enthusiasm for the choices. He found some great choices by the glass for both my guest and I with a light, crisp Spanish white for her and a rich, berry-flavored red in the Parr Selection Syrah for me. 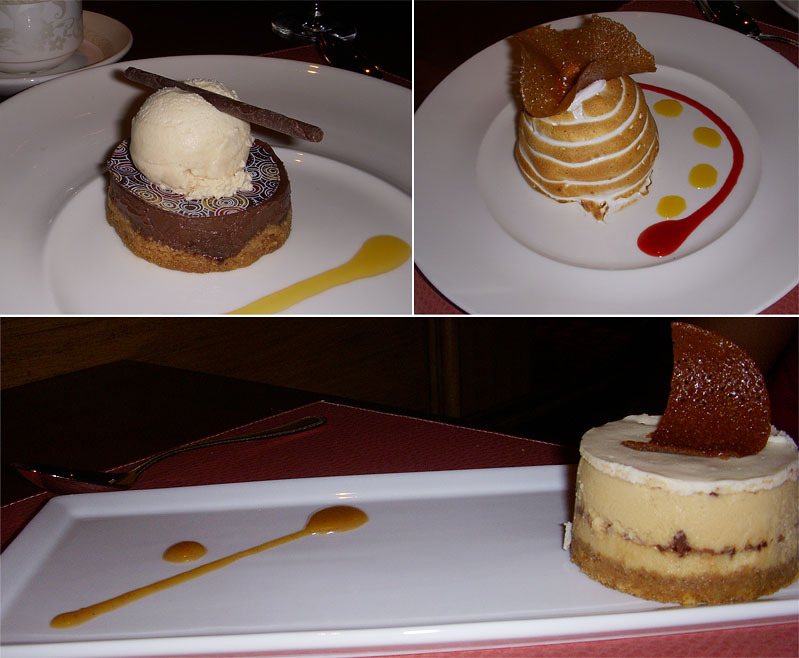 We were next treated to two selections each from the first course items featured for Restaurant Week. First was the Golden Tomato Gaspacho with Avocado Parfait. This was very tart and refreshing, and the creamy avocado parfait matched the strong vinegar of the cold soup perfectly. I have a feeling there may be some people that this selection would be too vinegary for, but as a sour flavor lover, it was perfect to my palate. My guest commented that she enjoyed it much more when taking up a little of the parfait with each spoonful, which smoothed out the flavors nicely. Second was the Terrine of Smoked Duck and Foie Gras served with mache greens with aged balsamic strawberry compote and grilled baguette. Mache are among my favorites green, being such delicate leaves with just a hint of sweet. They were wonderful with the strawberry preparation. 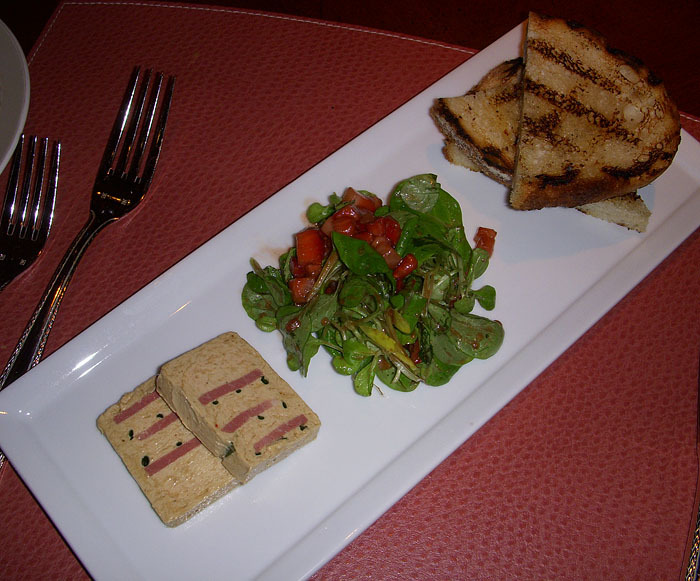 The terrine was magnificent, and brought to mind perfectly melted, smoky butter on the grilled bread. For the main course, the chef informed us that the Restaurant Week selections were not ready to be prepared yet, so we should select whatever we wanted of their regular menu. My guest got the Seared Sea Bass I selected the Duo of Beef. 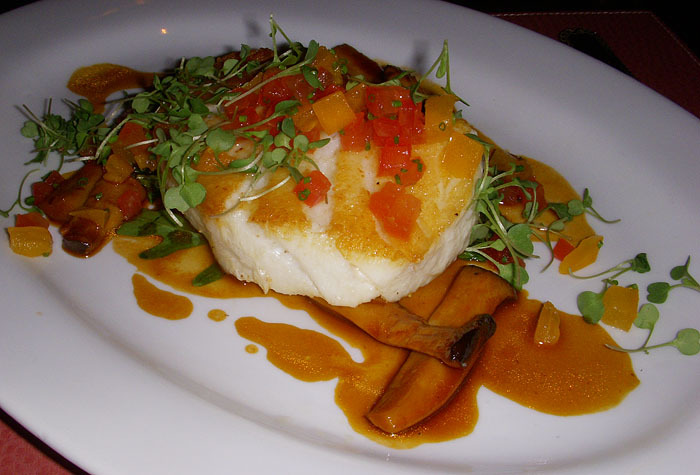 The sea bass was served on a bed of wilted arugula with king trumpet mushrooms and roasted chicken au jus. 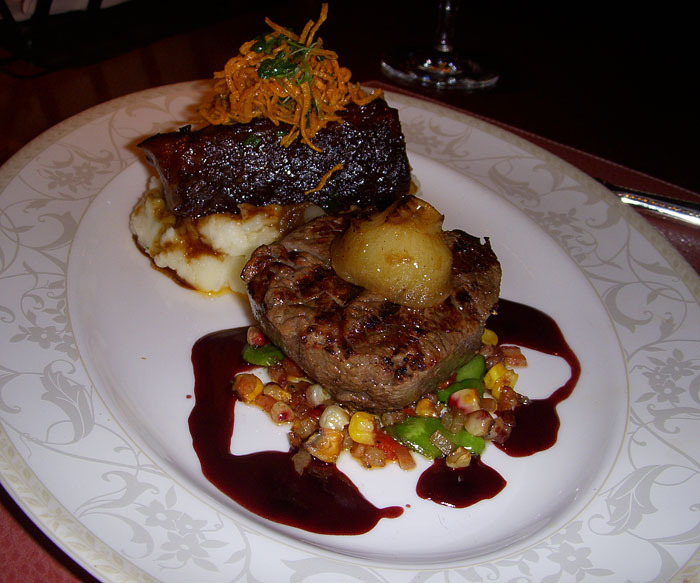 My Duo of Beef included a petite filet on sweet corn and smoked bacon succotash as well as slow-braised short rib on mashed potatoes. One of the Restaurant Week choices will include short rib, and if is anything like the short rib I got, then I highly recommend trying it. It was absolutely melt-in-your mouth tender, and pieces easily fell away when pierced with a fork. After thoroughly enjoying our main courses, we were brought dessert. The desserts were also not off of the Restaurant Week menu, and this was the first part of the meal that didn’t “Wow” us. My guest was brought toffee cheesecake with citrus tuilles, and I was brought peanut butter chocolate pudding with peanut butter ice cream. These are both very heavy choices, and not what either of us would have chosen on our own. When our waiter discovered my disappointment with my dessert, he offered to bring me something different, and I next got a baked alaska. This was much lighter, with strawberry and mango sorbets and guava chiffon cake inside. The meringue on the outside was extremely sweet, as is normal for meringues, but a bit too much for me. The dessert seemed well prepared, just not the right choices for my guest and I. I imagine one of the planned Restaurant Week dessert selections would have worked out better for us: Spiced Sugar and Lemon-Filled Bombolonis with Raspberry-Buttermilk Ice Cream, Caramel Praline Crunch Bar with Bittersweet Chocolate Sorbet, or Pavlova with Fresh Berries with Lemon-Poppy Seed Sherbet, Minted Vanilla Syrup. 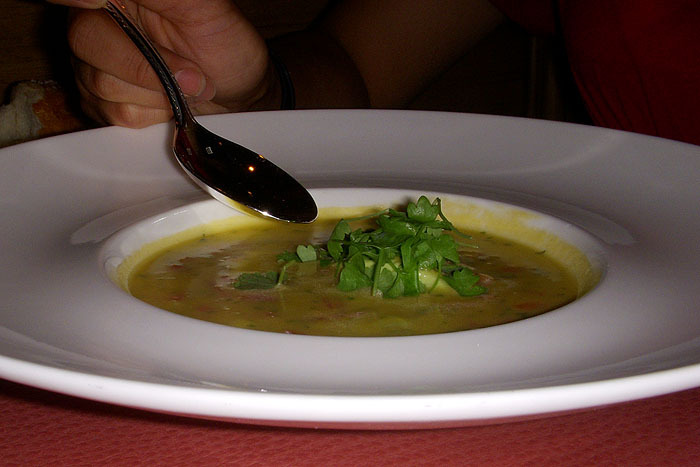 Overall, the meal was a wonderful experience, and I would definitely recommend Amaya. 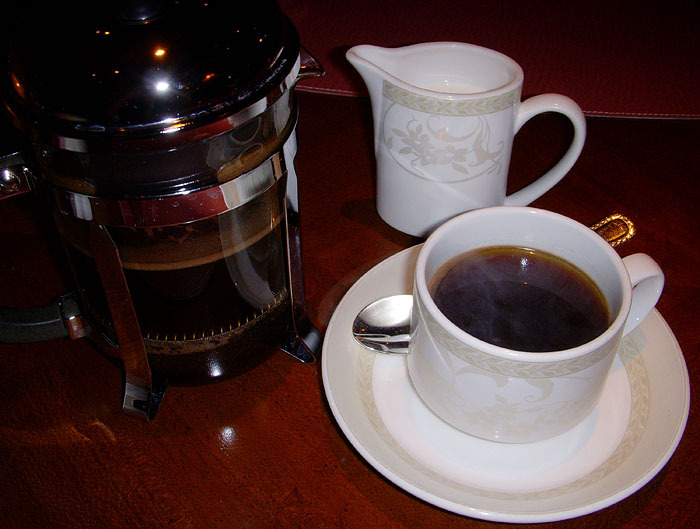 The service was outstanding, and the food was wonderfully prepared and presented. Also, if you want to have a prix fixe meal and can’t make it during Restaurant Week, they offer a chef’s tasting menu for $40 all year round.